Tracing its heritage back to Virgin Nigeria, Air Nigeria has arrived at Gatwick and has introduced a daily service to Murtala Mohammed International Airport in Lagos. The carrier faces indirect competition at Heathrow from another national carrier Arik Air, and both British Airways and Virgin Atlantic. Departing from Gatwick at 09:50 the flight will arrive in Lagos at 17:50 with the returning flight leaving Lagos at 23:50 and landing at Gatwick at 05:50 the following day. The A330-200 aircraft is configured 24 Business Class and 244 in Economy. Flight time is around seven hours. More details have emerged concerning the delay with the opening of the new Willy Brandt Berlin International Airport (see last week’s issue). 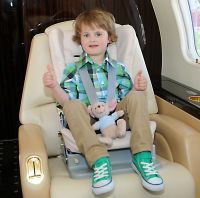 After regulators raised concerns about fire-safety systems, it will not now open until the end of the airline winter season in March 2013. What has annoyed many people, both travellers and those involved in the airline industry, is the fact that the delay announcement was made less than one month before the new airport was due to open. 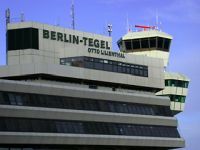 Staff at the existing Tegel had either been made redundant, or promised re-location to the new site. Airlines were planning new routes and schedules. Lufthansa says that their new services to both Birmingham and Manchester will nevertheless go ahead but to Tegel. Air Berlin indicated this week that it would seek compensation for the delay. Others are sure to follow. German efficiency has been called into question. Just 12 months after it was announced (see AERBT 30 May 2011) Premier Inn has officially opened its new 83 guest room hotel at No1 Leicester Place, Leicester Square, in the heart of London’s theatre district. Premier Inn intends to open 20 properties across London by the end of 2013 as part of a major expansion drive for the hotel chain, with Heathrow and the Westfield shopping complex at Stratford the most recent. Premier Inn is the UK’s biggest hotel chain and is currently the largest provider of budget hotels within the M25 area. The new hotel is also a leader in innovation with ‘floating’ bedrooms equipped with double soundproofing to ensure guests get a good night’s sleep despite being within walking distance of many popular theatres, shops and London tourist attractions. Fifty journalists from all over the world jetted into Atlanta last week for Delta Air Lines well organised International Media Summit. A 15-hour non-stop flight from Dubai set the record. The event coincided with the opening of Atlanta’s new Concourse F (see elsewhere in this issue). Delta Chief Executive Richard Anderson, for may years a stalwart at Continental, introduced the briefings. Richard joined Delta in 2007 and led the very successful buyout of Northwest Airlines, with the integration now essentially complete. Mr Anderson emphasized teamwork as being one of the major factors in the airline's success. Last year Delta carried 163m passengers and made profits of US$800m+ at a load factor of 82%. It currently employs 75,000 staff and has a fleet of around 740 aircraft. A discussion with representatives from the Office of Low Emissions Vehicles, Transport for London’s Source London and PricewaterhouseCoopers on the electric vehicle (EV) revolution was hosted by Hertz last week. The car hire giant chose the occasion to release figures which show that the average electric vehicle rental is six hours, with an average journey of 16.81 miles. 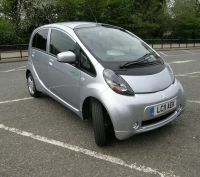 Hertz offers a diverse fleet of EVs and plug-in hybrids including Chevrolet, GM, Mitsubishi, Nissan, Renault, Tesla and Vauxhall. Whilst electric vehicles have become a reality in London, the speakers suggested that collaboration will be key to accelerating EV adoption more widely throughout the UK for both consumers and businesses. 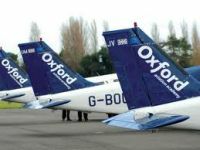 Once known as the Oxford Air Training School, and established around 1965, the Oxford Aviation Academy (OAA) has been acquired by Montreal-based simulation and training specialist CAE for C$314m (US$309m). 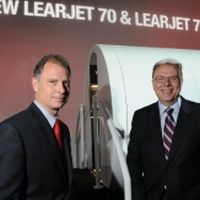 The deal will add seven training centres and 40 full-flight simulators (FFS) to CAE’s worldwide base of facilities. Over the years the school has trained many thousands of ab-intio pilots, particularly for British Airways, and internationally too starting with ANA in 1970. It became the first educational establishment of any kind to win the Queen’s Award for Industry. "Civil aerospace market fundamentals are strong and we are increasing our position at an opportune time. With this acquisition, CAE responds to market demand with an increased footprint and a complete end-to-end solution for commercial aviation," said CAE President and CEO Marc Parent. 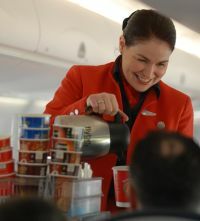 Flybe passengers who are coffee aficionados or just simply avid devotees of the world’s best known coffee brand can now enjoy a cup of the Seattle invented brew. Not just a range of freshly made Starbucks coffee but also tea and hot chocolate on board. Please note that from next Monday 28 May AERBT is being renamed The Business Travel News (BTNews). We have a new website too, and that can be found on www.btnews.co.uk. Why the change? We just found the old name something of a mouthful. Please ensure newsletter@btnews.co.uk is on your 'white list' if you receive our email newsletter. Delta Air Lines flight 295 to Tokyo-Narita became the first flight to depart Concourse F at the impressive new Maynard H. Jackson Jr International Terminal at Atlanta’s Hartsfield-Jackson International Airport last Wednesday 16 May. Shortly after flight 295’s departure, DL 177 from Dublin (Ireland) inaugurated arrivals. Atlanta is the world’s largest airport and Delta the world’s biggest air carrier. The airline is profitable too. Atlanta could be described as the hub of America, 92m people passing through last year. Of these only 10m were international traffic, and of that number just 3m were either departing or terminating at Hartsfield. The Hampton by Hilton at Birmingham Broad Street has opened. It is the largest Hampton outside of the US. 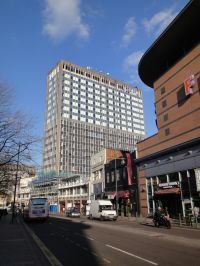 The 284-room property is the 10th of the mid-priced brand’s hotels in the UK, joining Hampton by Hilton’s already established hotels in locations such as Braintree, Croydon, Liverpool and Newport. The hotel offers the brand’s signatures including free high-speed internet access throughout, free hot breakfast, 24-hour snack area featuring light dishes and a full bar and features a fitness centre. The Birmingham Hampton by Hilton is located in the heart of the city’s main thoroughfare and is a short walk from the International Convention Centre (ICC), the Brindley Place development and the Bullring shopping centre. Now only weeks away (13/14 June) Business Travel Market has announced a raft of new and returning exhibitors to this year's event, offering key meeting opportunities to business travel buyers and managers. Back once again are Airplus International, Carlson Wagonlit Travel, Eurostar, Flybe, HRS, Qatar Airways, Starwood Hotels, Travelodge and Virgin Atlantic. They will be joined for the first time at Excel by the likes of American Express Corporate Card, Avis, Hertz, Hong Kong Airlines, Millennium & Copthorne Hotels and Park Plaza. 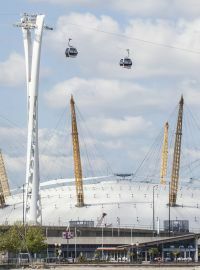 Travellers on the DLR to London City Airport were surprised last week as testing started on the Emirates Air Line, London Gateway, between North Greenwich Arena (O2) and Excel, the cable car operation hanging above the rail units. All 34 cabins were in action as they took off for their inaugural load testing flight. The service is expected to open during the summer, well in advance of the Olympics. Both venues are competition centres for London 2012 events. The innovative link will provide a much needed new river crossing with the capacity to carry up to 2,500 people per hour in each direction – the equivalent of 30 buses per hour. It is likely to become a major tourist attraction in its own right. San Francisco’s Mandarin Oriental hotel has had a major upgrade to coincide with the property’s 25th anniversary. 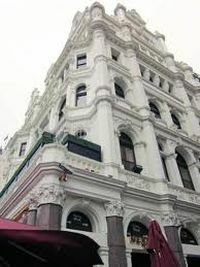 It was the Hong Kong-based group’s first hotel in the United States. Located in the heart of the city the hotel offers unparalleled panoramic views of the bay and beyond from the top 11 floors of San Francisco’s third tallest building, 345 California Center. Regulars will quickly notice an entirely new Italian travertine marble lobby. 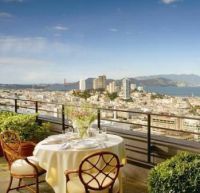 Mandarin Oriental, San Francisco’s 158 guest rooms include seven suites, which offer dramatic views of San Francisco and the Bay. Each room is individually designed, with a furnished, 800sq ft landscaped terrace. The interiors have been thoroughly modernized and decorated in lush textures with a cool blue and silver palette. Spacious bathrooms provide a spa-like ambience with luxury rain head showers and freestanding sculptural bathtubs furnished with Molton Brown bath amenities to allow guests to indulge in comfort and relaxation. Airlines continue to be less than ambitious when it comes to announcing route cancellations and therefore Virgin Atlantic are to be applauded for confirming that their Heathrow – Nairobi service is to be dropped from 23 September. This leaves British Airways and Kenya Airways on the route. Chief Commercial Officer Julie Southern said: “We have taken the difficult decision to withdraw our services between London and Nairobi. Despite the best efforts of our employees, external factors including the high price of fuel, increasing aviation taxes in the UK and insufficient passenger numbers throughout the past five years have contributed to the decision.” Unanswered is what will happen to the slots and the Airbus A340 used on the service. Things could change. Virgin has twice cancelled Chicago and twice reinstated. Flybe is dropping Belfast City – Bristol from 10 June. SIA is to cancel Athens – Abu Dhabi "before the end of the year". The home city of the Four Seasons hotel group since it was founded in 1961, Toronto, is again to host one of its outstanding properties. The brand new Four Seasons Hotel Toronto, located in the city’s glamorous Yorkville neighbourhood, is now accepting reservations for guest stays starting on 1 October 2012 and beyond. 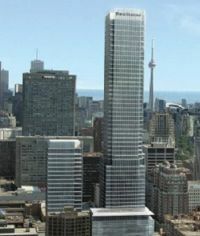 Consisting of two towers, the 55-storey main block and a 26-floor residential building, the Four Seasons Hotel Toronto is designed to represent the new generation of Four Seasons Hotels and Resorts worldwide with 259 state-of-the-art guest rooms, an elaborate spa and fitness centre, function rooms and an international style restaurant. 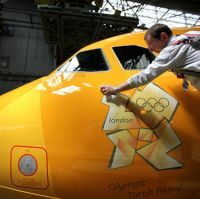 British Airways is launching London 2012 Olympic-themed entertainment packs to be given out to children on BA flights during the Olympic and Paralympic games. BA is in the continued process of introducing new routes (and perhaps losing frequencies) following the bmi take-over. Readers should watch carefully the airline web site as announcements do not always seem to be synchronised. Willie Walsh has now stated that the airline is intending to operate from Heathrow to Leeds Bradford (UK), Rotterdam (Holland) and Zagreb, the capital and largest city in Croatia. Leeds Bradford is particularly interesting as in the distant past it was serviced by the then BMA and has been the subject of unsuccessful attempts by both bmi and Flybe with flights to Gatwick. It also has good rail connections to London but very limited international flights. Reports from Copenhagen indicate that bankrupt Danish airline Cimber Sterling is to keep flying under the Cimber name (see AERBT 4 May). 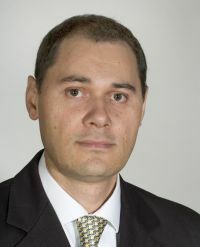 Its former Ukrainian owner Igor Kolomoisky will buy Cimber Air Maintenance and Cimber Air Data units with the current management taking control of the airline itself. No financial details have been given. "The deals mean that a significant part of Cimber Sterling's activities have now been sold and not least, that between 200 and 260 jobs have been saved," the company said. 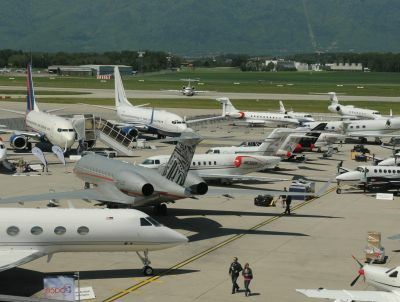 Cimber says it will focus on wet leasing and charter, operating flights for other companies. The airline, listed on the Copenhagen bourse in an initial public offering in 2009, had tottered on the brink of insolvency last year, but was rescued by Kolomoisky. Addis Ababa, the capital of Ethiopia, is to be added to the Etihad Airways global network from November 2012. The airline will also start flying to the Indian city of Ahmedabad in the same month. The two new cities will expand the carrier's reach to 86-passenger and cargo destinations around the world. 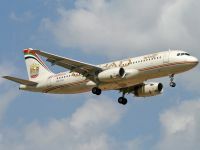 The new routes will be served by a two-class Airbus A320 and support the aims of Etihad Airways to connect key strategic cities with its home base of Abu Dhabi, enhancing commercial and leisure travel with the UAE’s capital city. Flights between Abu Dhabi and Addis Ababa, its ninth destination in Africa, will initially operate five times a week, increasing to daily in 2013. Services will operate daily between Abu Dhabi and Ahmedabad, the airline’s ninth destination in India. Ethiopia is the largest African market that Etihad Airways is yet to serve and the second most populous country in Africa. It is expected to contribute strong business and leisure traffic within the airline’s network. Routes Europe opens today (21 May) at Tallinn, the annual coming together of airlines and airports. OAG, the travel data specialist, has chosen this vital gathering to launch “Migo” an innovative online product designed to deal with the problems caused by volcanic ash clouds, snow, strikes and last minute operational situations grounding flights. The Luton based company has devised this new aid to enable airport and travel agency handling teams to instantly identify alternative travel options for passengers - not just by air but by land and sea as well. OAG Product Director Emma Swinnerton commented: "Travellers generally recognise that severe weather and extraordinary events like the ash cloud are going to have a significant impact on flights. The real frustration comes when they encounter huge difficulty in finding alternative ways to get to where they want to go and the understandable inability of airport and airline staff to give all the options." Air Canada, a member of Star Alliance, has re-launched a daily non-stop seasonal operation between St John's, Newfoundland and Heathrow. The service also provides two-way easy access from the most easterly part of Canada to Europe, the Middle East, Africa and the Indian sub-continent. Flights will operate using a 120-seat Airbus A319 aircraft in a two-cabin configuration offering a choice of Executive Class and Economy service. Air Canada has expanded the selection on its In-flight Entertainment System to offer customers twice as many movies to choose from than previously. The enriched personalised seatback system will give each customer free access to a menu of up to 150 movies designed to suit every taste, ranging from the latest Hollywood blockbuster to classic art house and international films.